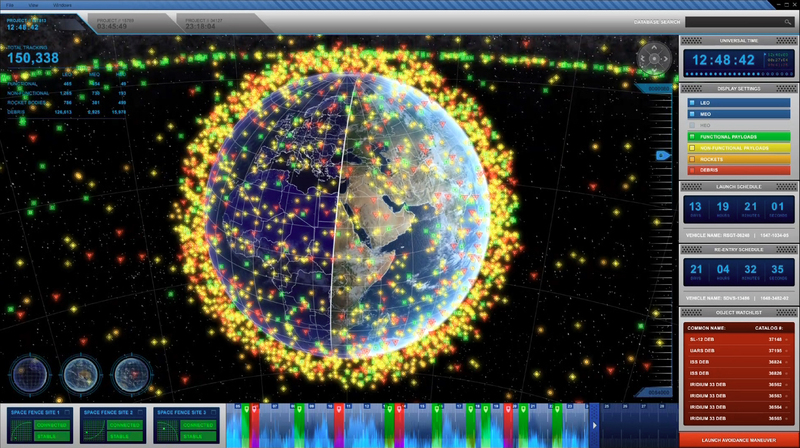 Space Fence control center (Credits: Lockheed Martin). William Shelton, commander of the Air Force Space Command, warned against funding cuts to future space programs, with possible consequences to next-generation Space Situational Awareness (SAA) systems. According to Shelton the new Joint Space Operations Management System (JMS), designed to increase USAF capability to track objects in Earth’s orbit, is threatened with a major funding reduction by the US Congress, on the grounds of past cost overruns in the program. Congress quotes a 2011 report from the Government Accountability Office that pointed out cost and schedule overruns of the Air Force, stating that the Pentagon had failed to deliver promised SSA capabilities for five consecutive fiscal years. The orbital debris problem, which Shelton says “could spiral out of control due to accidental collisions or deliberate, irresponsible actions,” has been recently aggravated by the explosion of a Breeze-M upper stage that released more than 500 pieces.